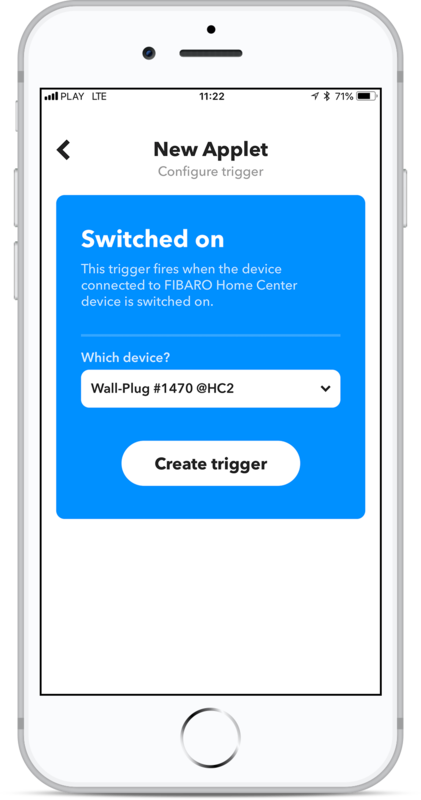 Now you can use your FIBARO devices in applets, both via browser interface and mobile app. 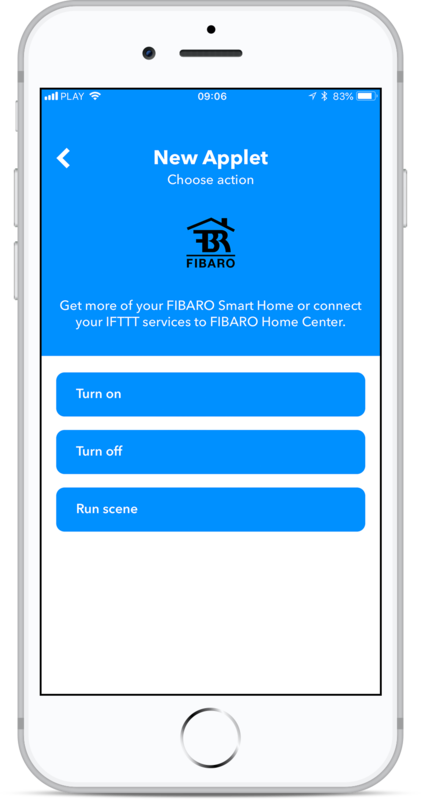 Search for FIBARO in a form. 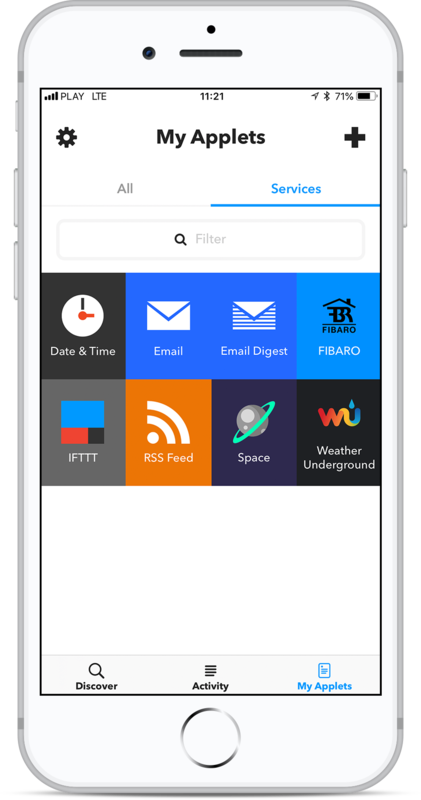 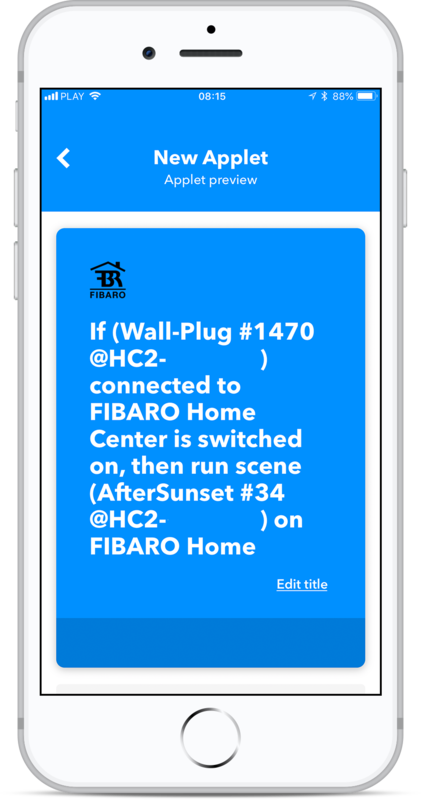 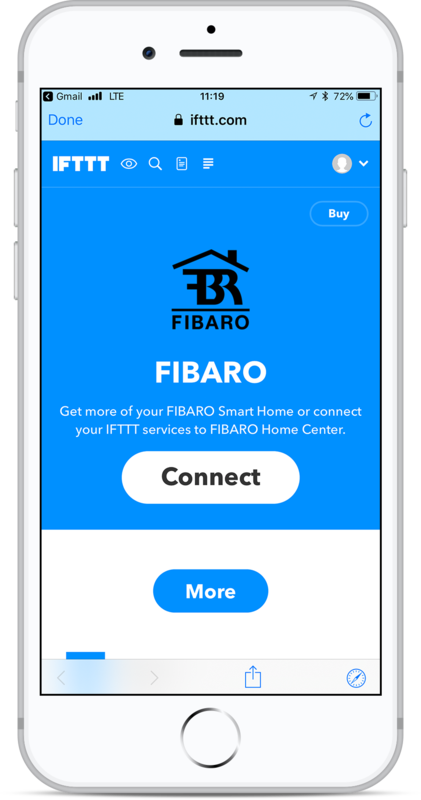 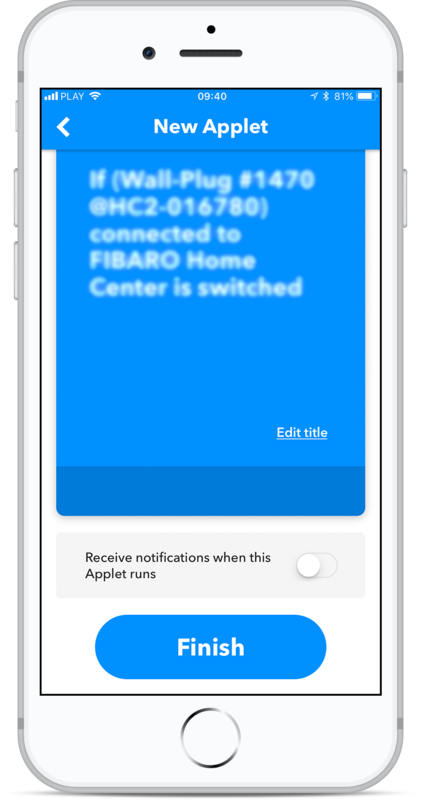 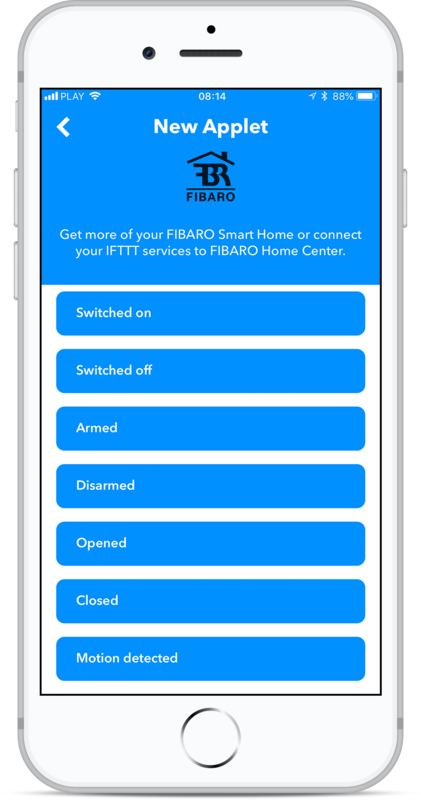 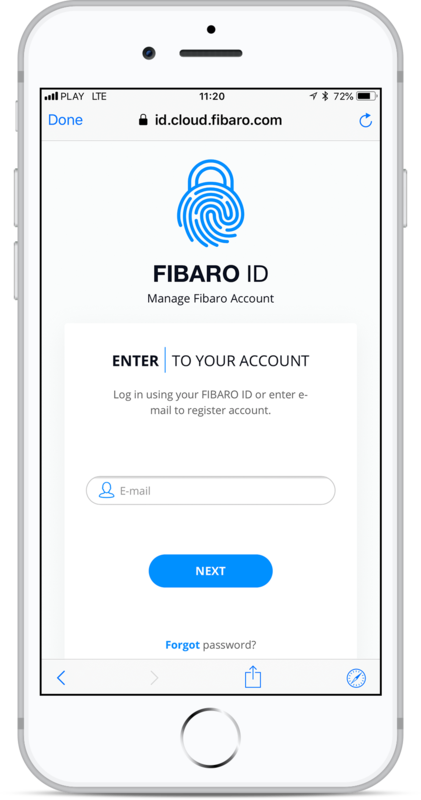 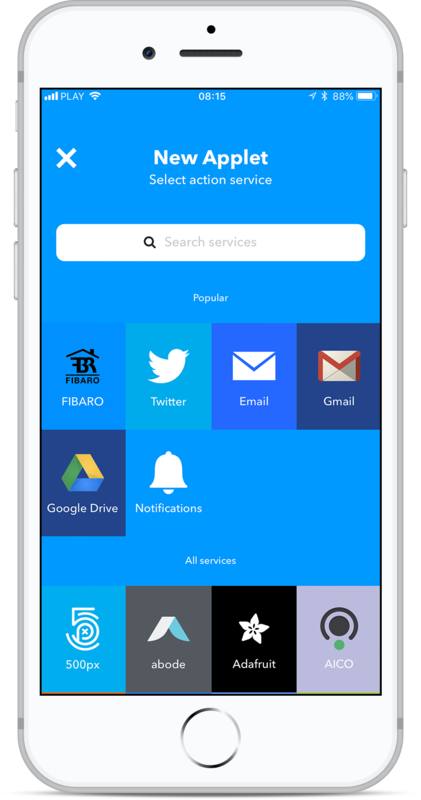 Log in to connect your IFTTT account with FIBARO ID. 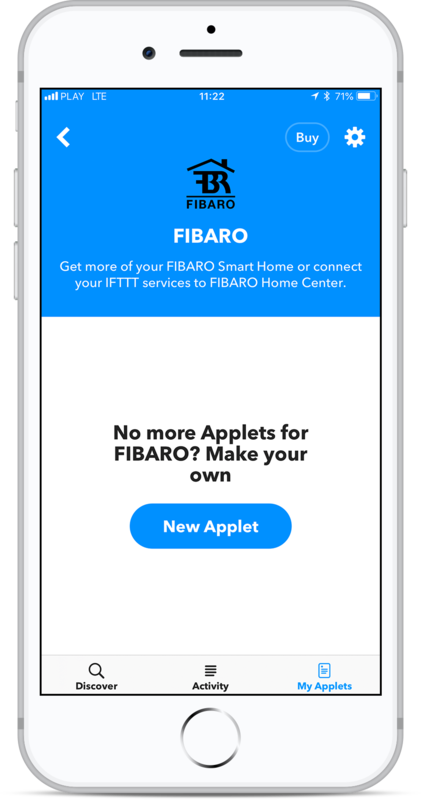 Create a new applet in FIBARO section. 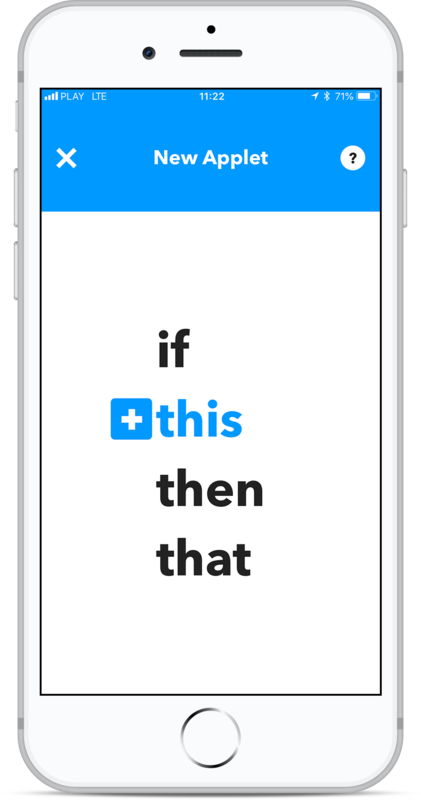 Select type of condition from the list. 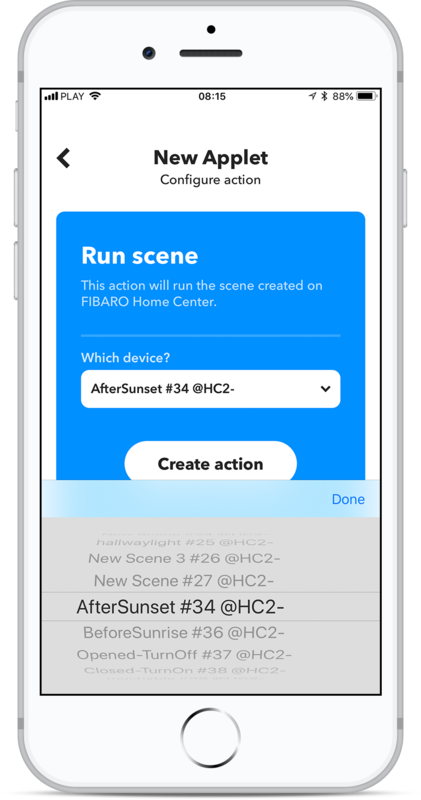 Now it’s time to select the consequence. 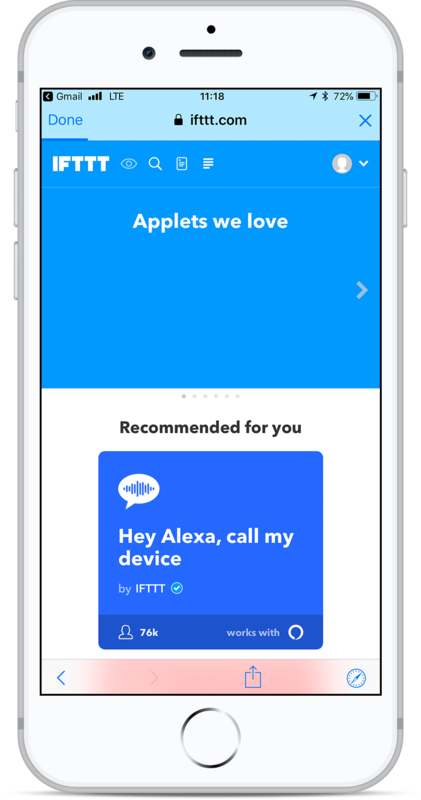 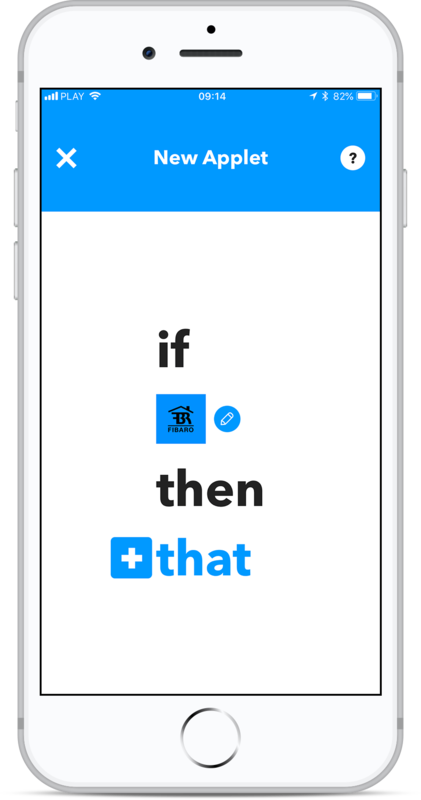 You can change the name of the applet.